Cadabra Records has effectively carved out a niche for themselves with their H.P. 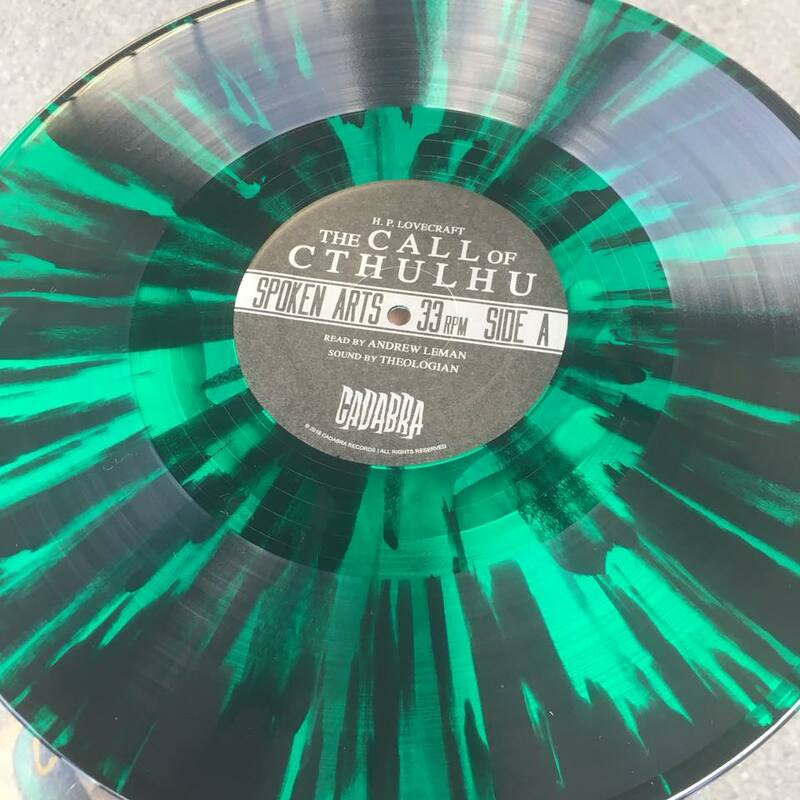 Lovecraft vinyl series. It might seem strange to essentially buy an audiobook without the convenience, but their pressing of Lovecraft’s 1929/1930 work Fungi From Yuggoth takes the story’s effect to unimaginable heights. These projects aren’t mere reading. They’re gripping, haunting works of art in and of themselves. Andrew Leman’s utterance of Lovecraft’s words is harrowing enough in and of itself, but the inclusion of post-industrial legends Theologian was a true stroke of genius. Their nebulous soundscapes embody Lovecraft’s fear of the unknown to a degree no other artist could hope to reach. Given how great Fungi turned out, it only made sense of Cadabra to unite the same artists once more to tackle Lovecraft’s magnum opus—The Call of Cthulhu. A palpable aura sets into place right when the needle hits the wax, and only tightens its grip on the listener’s senses. 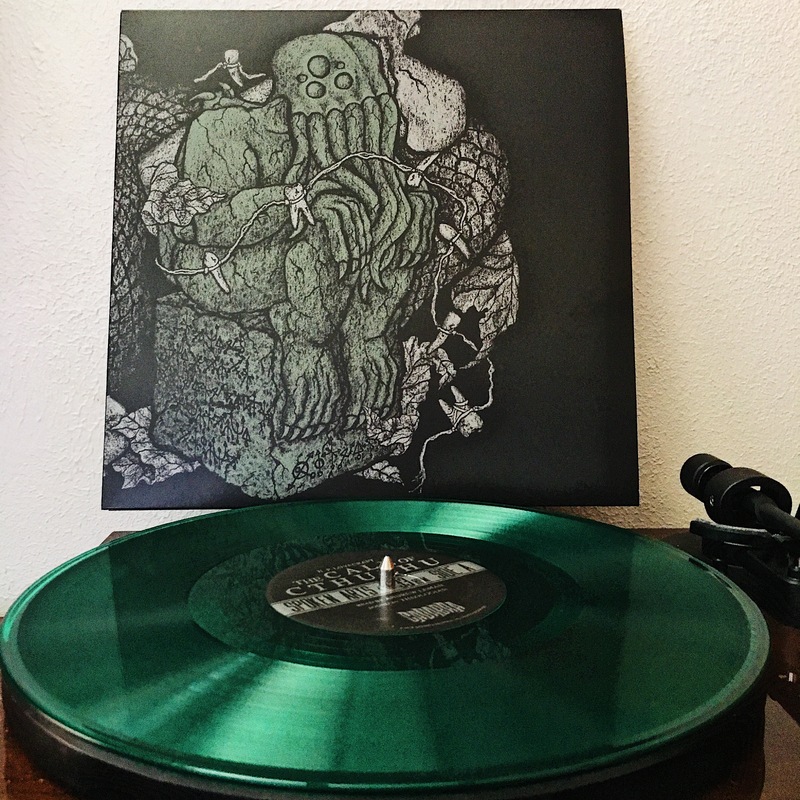 Listening to this thing in the dark at high volumes is profoundly nightmarish, as the speaker and the musicians work to magnify the dreadful feeling The Call of Cthulhu elicits. The chemistry between Leman and Theologian is unprecedented in this type of media. Their respect for the source material is evident, as each sound and word resonates at the core of Lovecraft’s chilling narrative. While Theologian’s input on this release doesn’t stray far from amorphous noisescapes, their sonic tides rise and fall in synchronization with the story’s emotional crescendos. As Leman gets more impassioned, the soundscape acquires more layers of paranoid sound. The result gives a dumbfounding fervor to protagonist Francis Wayland Thurston’s descent into madness. Lovecraft always made a point to detail the mental fallout experienced by his protagonists after beholding the Great Old Ones, which this recording mirrors as Leman’s tone of voice gets increasingly agitated. Leman and Theologian’s respective contributions were obviously made to be mutually exclusive, but this project keeps both the reading and the music compelling. Leman’s reading would be captivating without Theologian backing him up, just like Theologian’s finely-crafted ambiance could transfix by itself. Theologian made a good call to avoid trying too hard to evoke each plot-point as it happens. The musician instead supports the overall atmosphere, working tirelessly to up the ante as the chilling narrative takes its course. There are a few nuanced additions to drive some of the most terrifying moments home. When police official John Raymond hears the ritual drums that lead him to the Cthulhu cult’s terrifying procession, a very quiet, but deliberate rhythmic pulse creeps into the aura. Instead of trying too hard to musically interpret the story, Theologian intuitively creates a head-space for the listener. It almost works like subliminal messaging, preparing the ears and mind for Lovecraft’s words. This release forces listeners to contend with monsters beyond comprehension after being whisked away to Lovecraft’s macabre world. 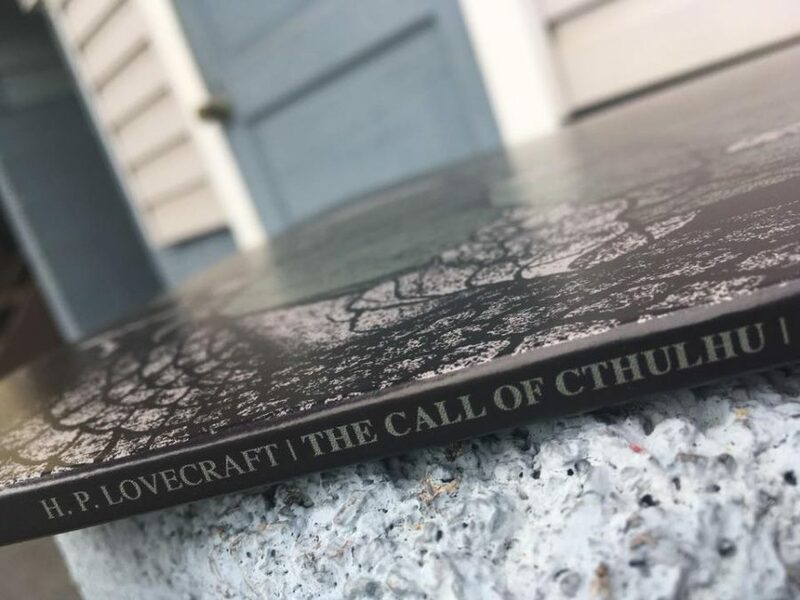 For vinyl lovers who haven’t read Lovecraft’s Cthulhu mythos, this is the perfect introduction. For anyone already familiar with The Call of Cthulhu, this provides a re-experience like no other. This album’s immersive ambiance and expressive reading is nothing short of spectacular. It takes nothing from the source material, only adding to its impact as a seminal work of horror and weird fiction. Cadabra may well have outdone themselves with this project.